Anatomically contoured to conform to the outside edge of the foot and includes a strap system. 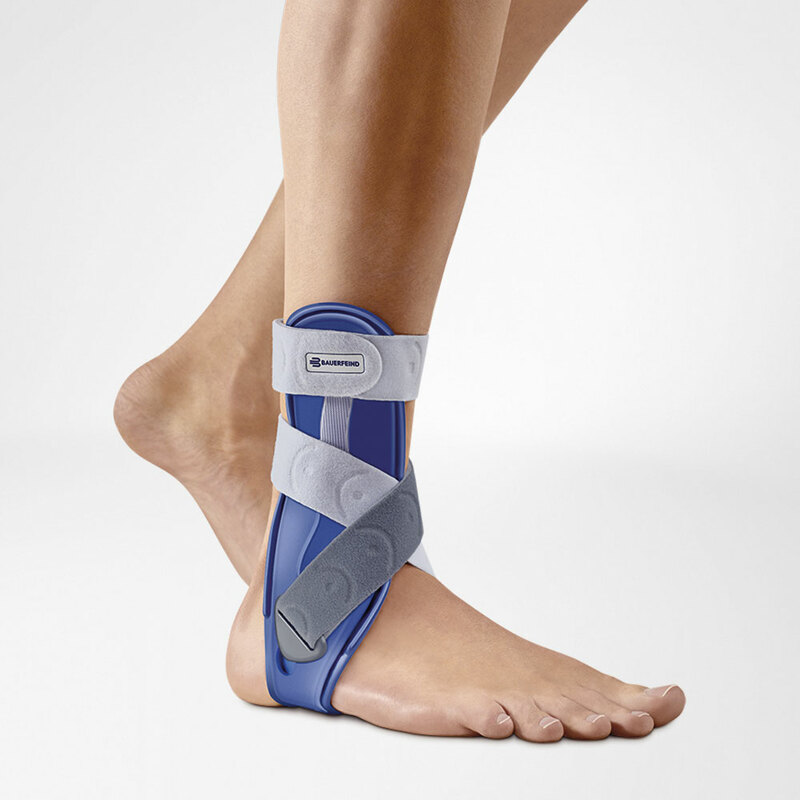 The MalleoLoc stabilizing orthosis is anatomically contoured to conform to the outside edge of the foot and includes a strap system. It fits snugly on the foot and passes forwards along the side of the joint and then underneath the sole, leaving the heel free. It thus counteracts both talar shift and lateral twisting of the foot. The musculature of the ankle is actively stabilized. It can be thermoplastically shaped to the individual anatomy of the foot. Under the sole on the outer edge of the foot there is a tongue-shaped protrusion, which stimulates the musculature, and in particular the tibialis anterior, thus reinforcing the stabilizing and mobilizing effects of the orthosis. This firstly provides effective protection against further injuries. Indications: Early functional treatment for injuries of the lateral malleolar ligaments (and the bifurcate ligaments), Capsular ligament strains, Postoperative rehabilitation, Chronic ligament insufficiency. Size: I (heel width < 6cm) and II (heel width > 6cm).